Keri Sheffield knows how to make a killer entrance! Miss Rodeo America 2018, Keri Sheffield, riding Skippa Lil Tomcat at Cheyenne Frontier Days. Keri Sheffield is not only doing a fantastic job at representing the sport of rodeo as Miss Rodeo America 2018, but she also knows how to make a killer entrance! 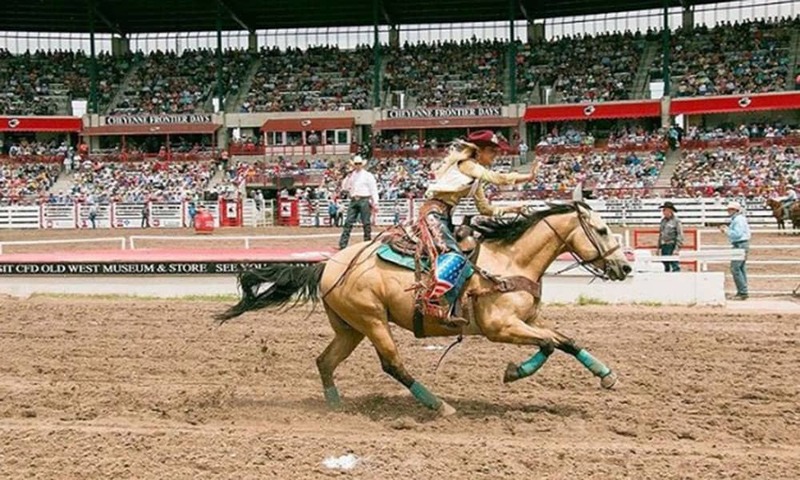 Keri is currently in Wyoming for the iconic Cheyenne Frontier Days, and stole the show when she flew down the track aboard a gorgeous buckskin. When I say flew, I actually mean flew. This girl can ride a horse! See all of the action below. Fly cowgirl, fly! Keri, keep rocking it during your remaining time as the reigning rodeo queen. Meet Keri Sheffield, The Newly Crowned Miss Rodeo America 2018!